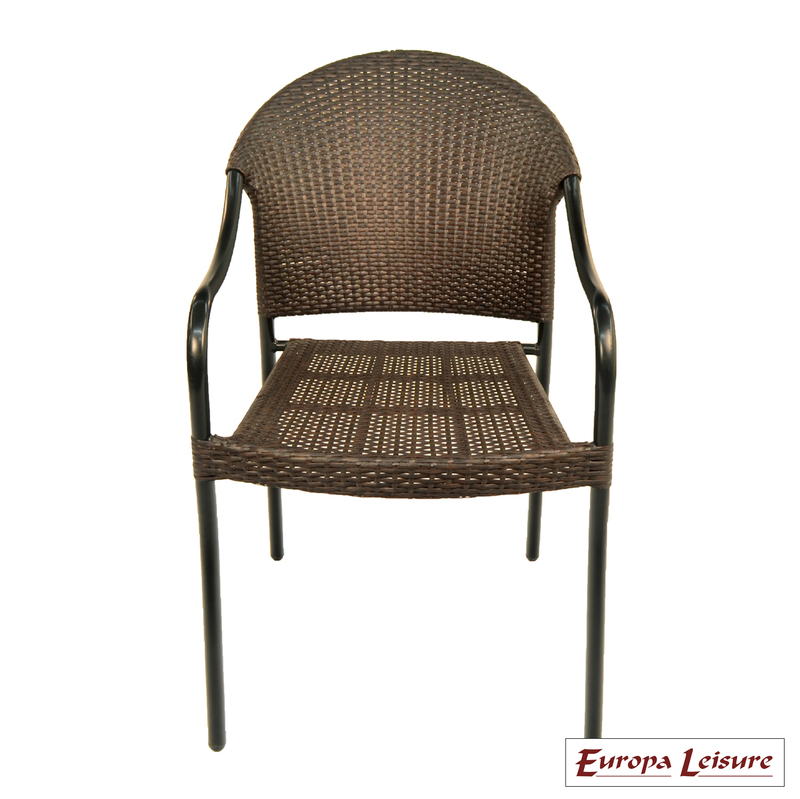 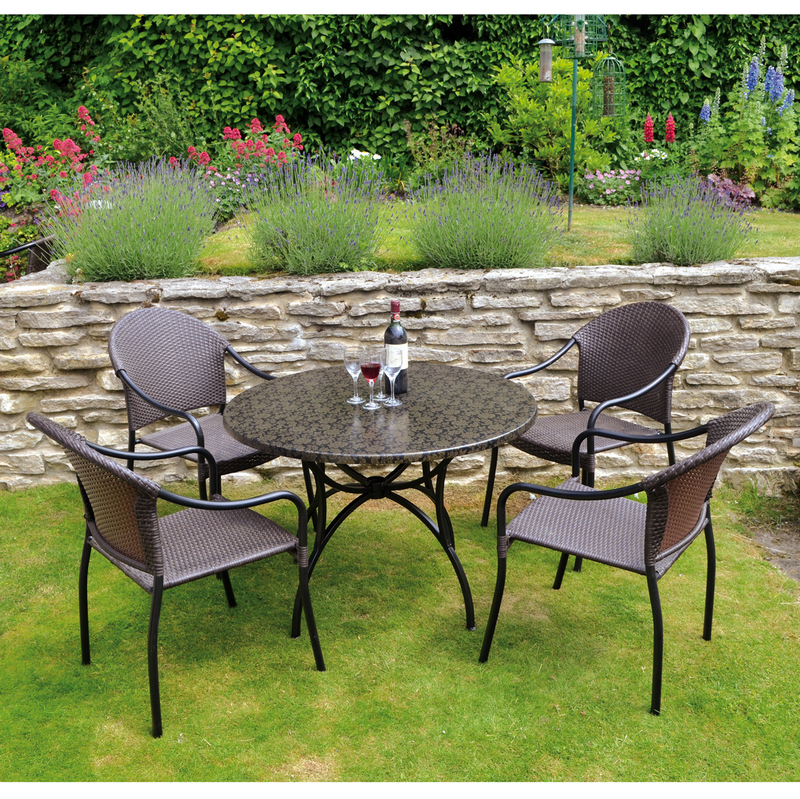 A genuine werzlit top, very robust, easy to clean and safe to be left outside all year round, the Fleuretta table is 100cm on black steel legs and is complimented by the San Tropez chairs, these are stackable and boast weather resistant wicker seats and back rests. 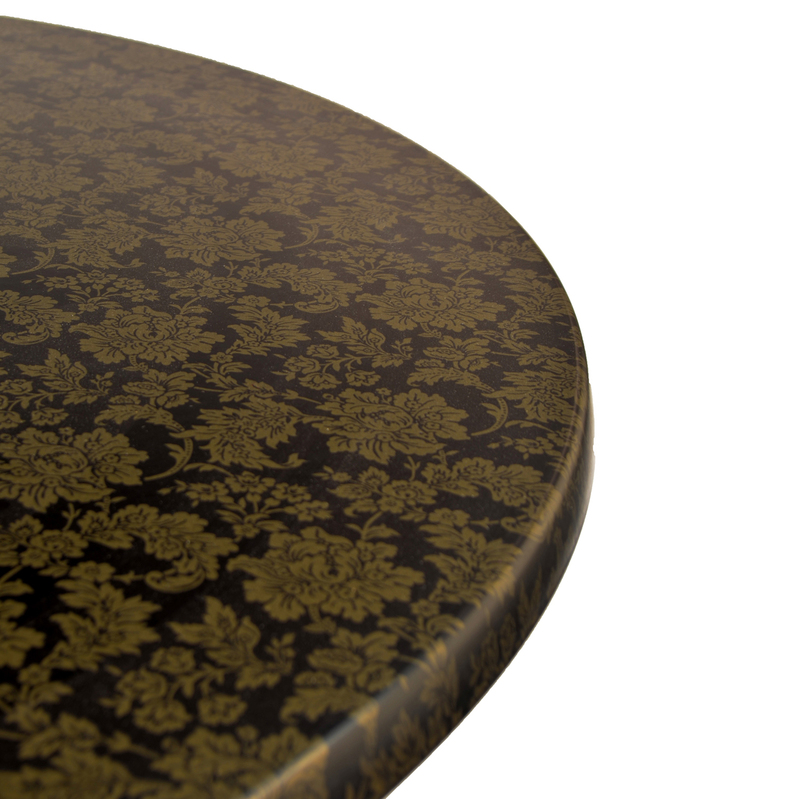 The floral design on the table invites you to sit down with a coffee and relax. 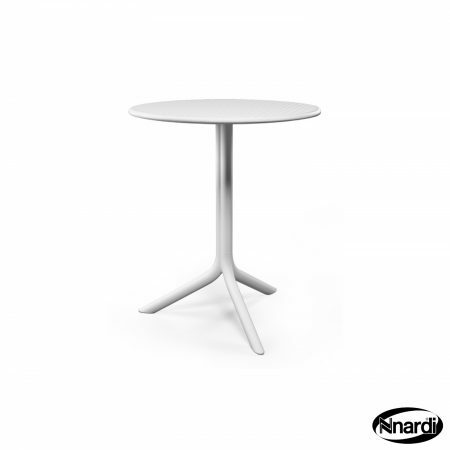 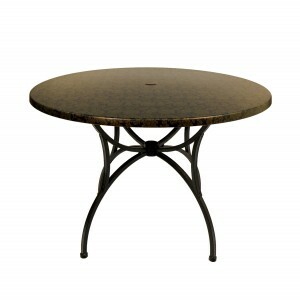 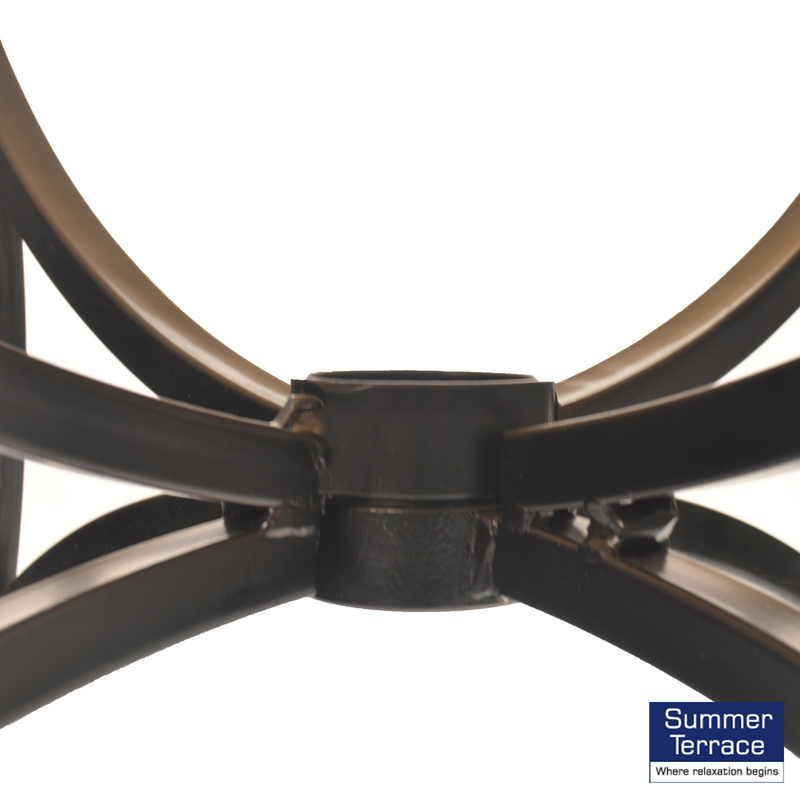 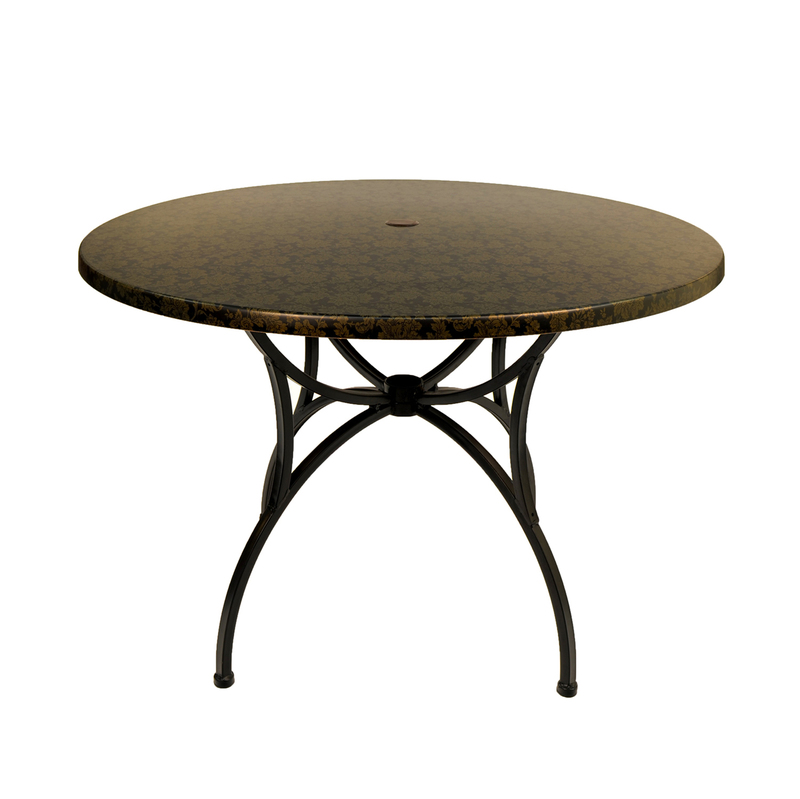 The Fleuretta Patio table has a genuine Werzalit® tabletop from Germany. 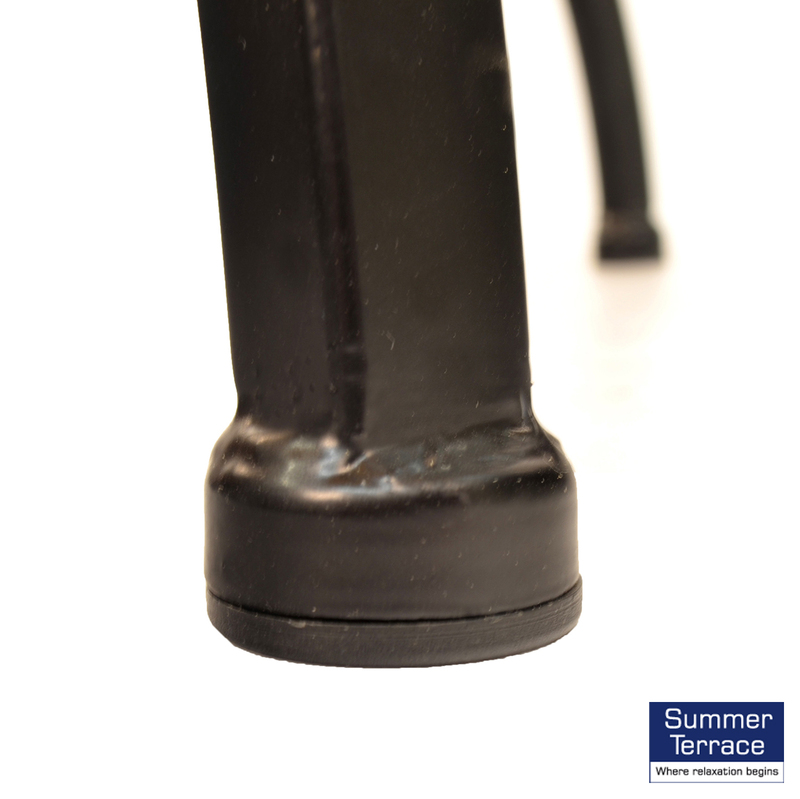 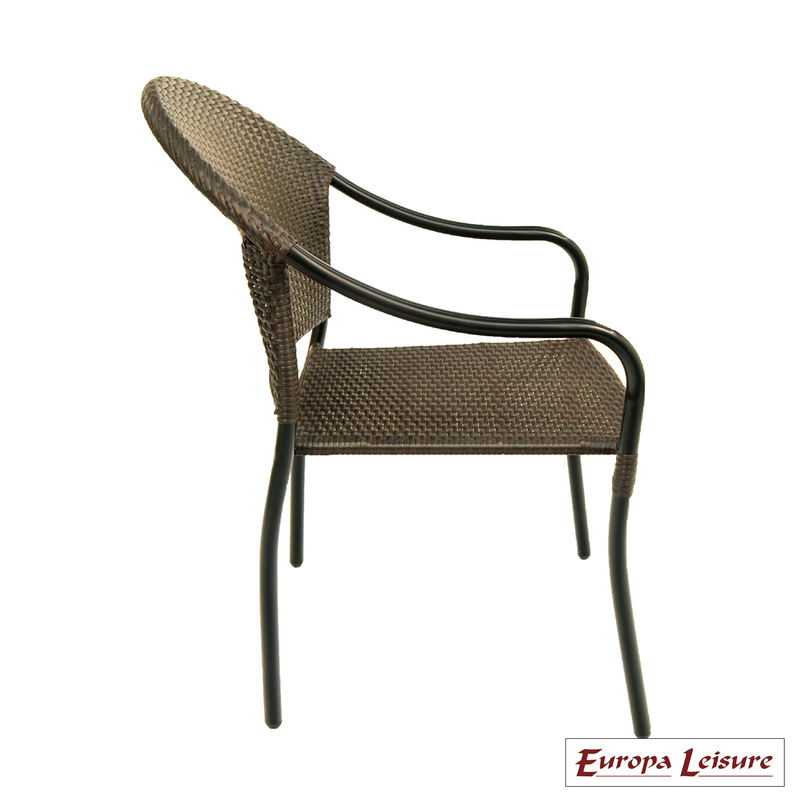 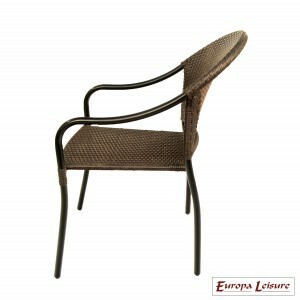 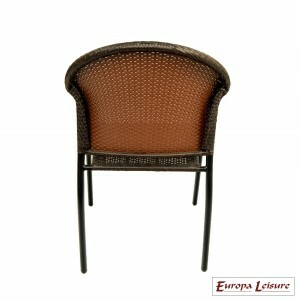 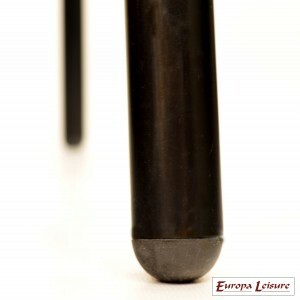 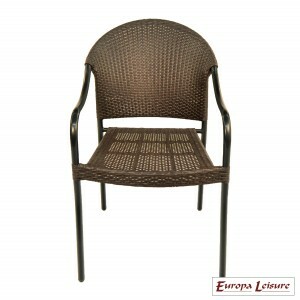 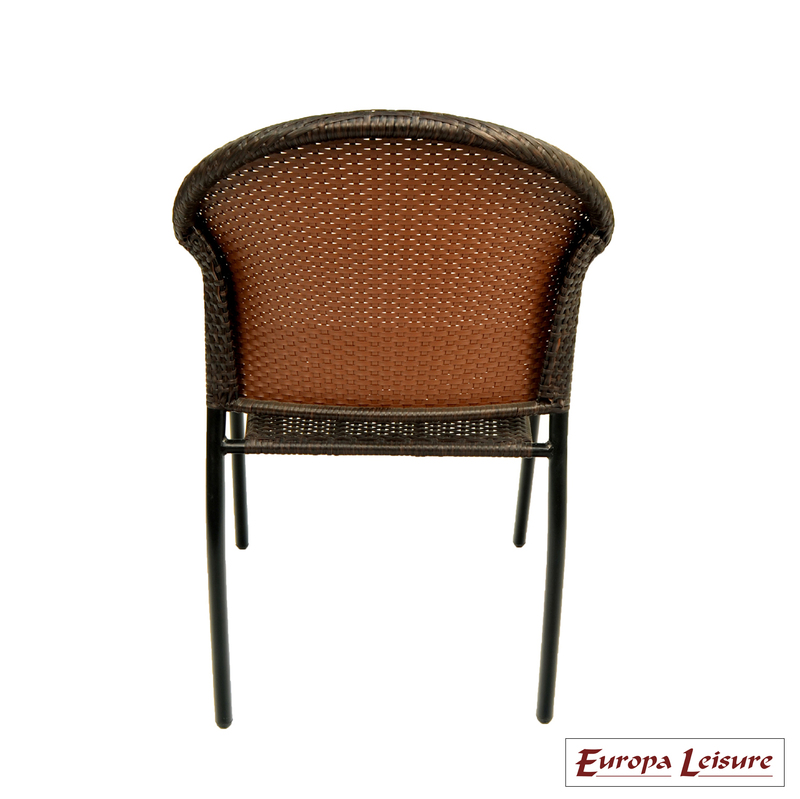 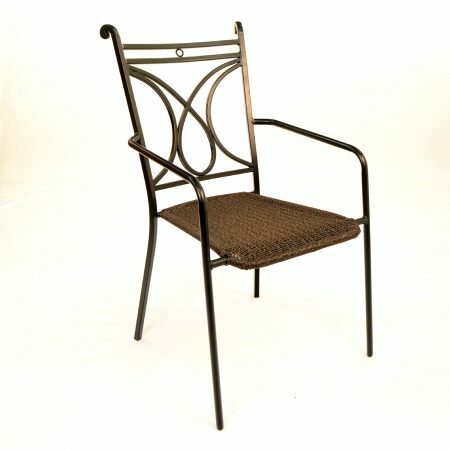 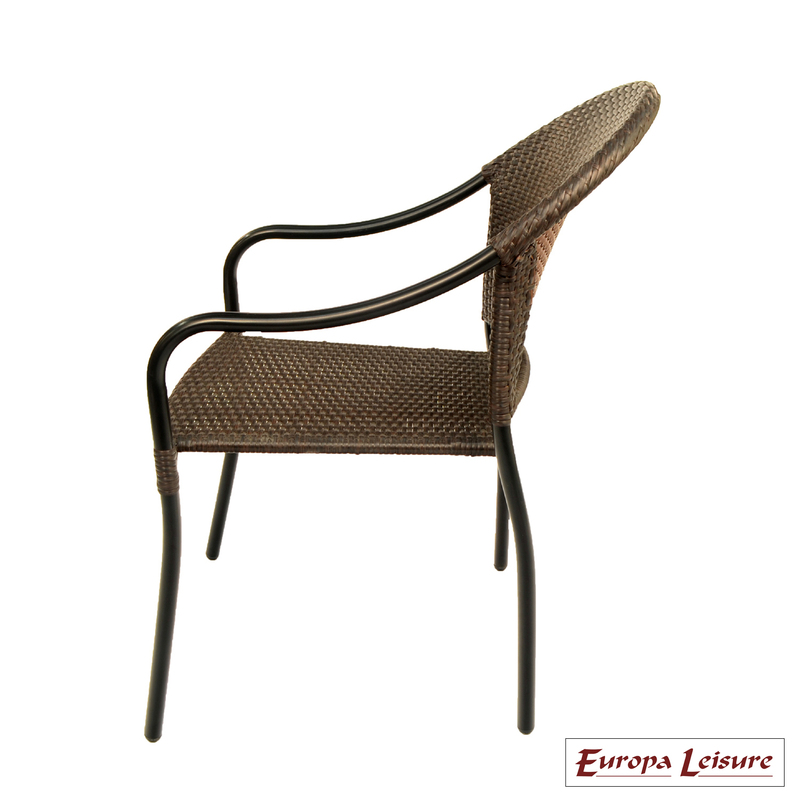 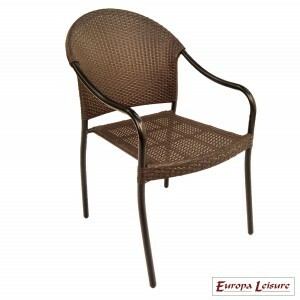 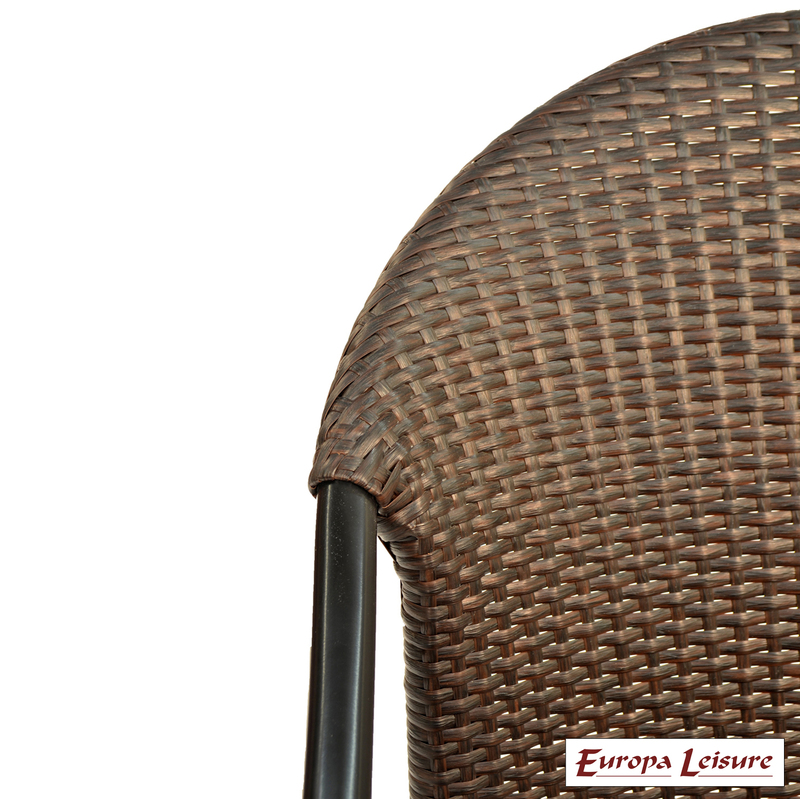 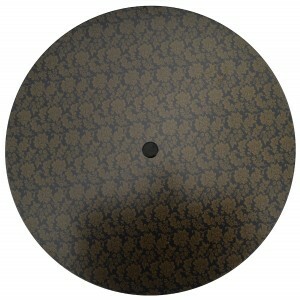 It is on attractive steel legs, finished in black, and is coupled it with the San Tropez stacking resin weave chair.